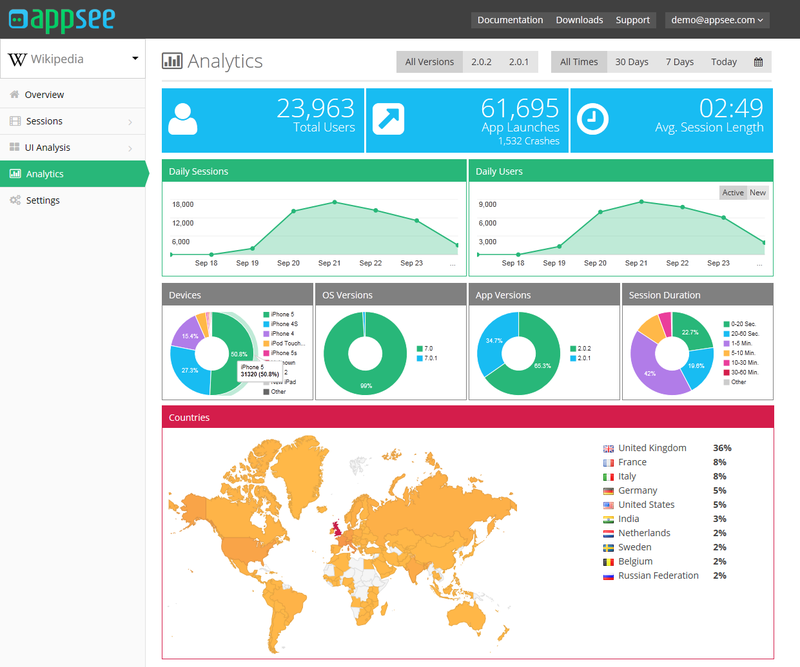 Appsee is a comprehensive analytics tool that is built within an app designed for iOS. It provides developers with analytics to measure the experience of mobile app users. The platform, which was formerly known as UserVOD, is now launching a new one that is completely redesigned, fully-stocked, and renamed to match its new casual structure. Appsee offers mobile developers a number of useful features that can help them increase and monitor user engagement and retention. 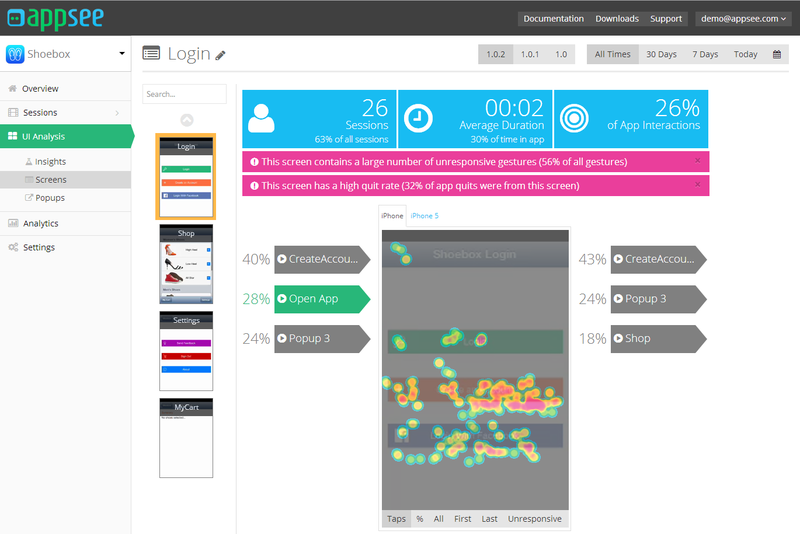 Some of the many features offered by this service include in-app analytics, UI analysis, single session recording and tracking, automatic events, and touch heatmaps. By using these analytics, developers can optimize the experience of app users, resulting in higher app ratings and improved performance metrics. A number of app development companies use traditional tracking metrics such as number of daily users and downloads to analyze the performance of their apps. However, it is important to understand what these figures actually mean in order to use the results of these metrics in an optimized way. 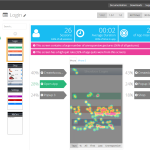 As many analytical platforms offer only a narrow set of tools for app analysis, it is difficult to understand user behavior in a standardized way. Developers choose to manually select which measures should be checked since many platforms don’t offer automatic identifying and tracking system. Appsee offers a completely new and innovative approach for mobile app developers to help them understand user behavior and experiences. The platform uses an entire suite of analytical tools that track and measure experience metrics in detailed and comprehensive ways. 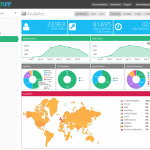 A number of famous apps like My Supermarket, Onavo, and British Gas use Appsee for handling analytics due to its intuitive and easy-to-use design and attractive visual reports. 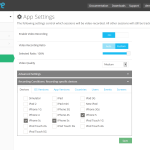 The developers can easily add this in-app analytical platform to their own using a single-line code and Appsee SDK. 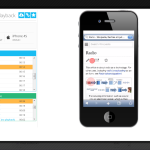 Once the system is integrated to your app, it will track every gesture of your user and store it for analysis. To provide better accessibility to developers, a fully integrated online dashboard is made available, through which they can get reports regarding multiple sessions or a single experience at a time. The platform also allows you to filter the stored sessions across multiple variables and filters, some of them being first time users, crash sessions and churned users. After identifying a single point of interest, developers can specifically track that with the help of these filters. 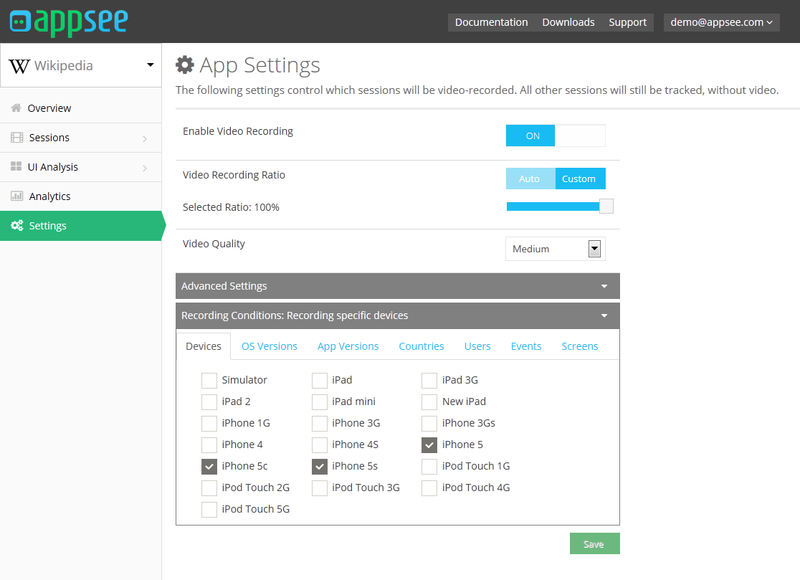 Some of the additional features offered by Appsee include detection of UI and usability problems along with fixing suggestions and optional user video recording for a specified percentage of the session.